Defined by its deconstructed design, the latest application in Arik Levy’s North collection is an innovative synthesis of a floor and suspension fixture. 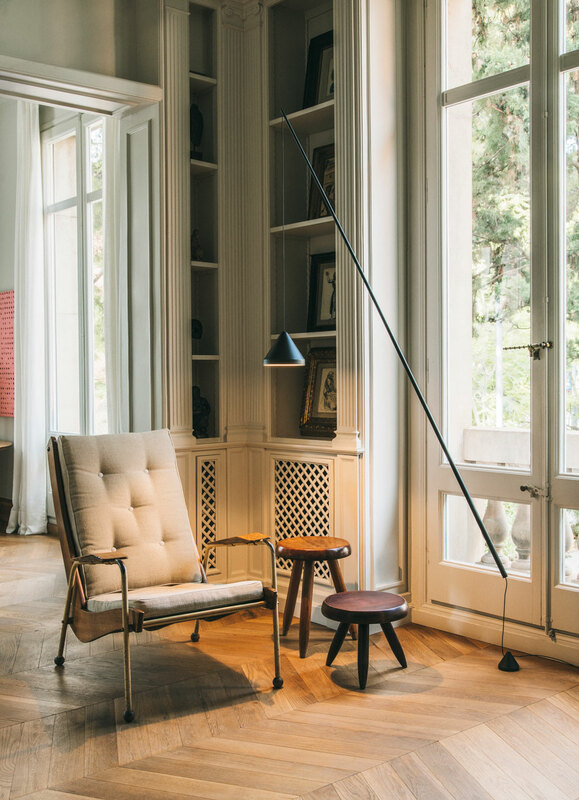 Levy drew inspiration for his lamp from a desire to visually connect the floor and ceiling and to place light exactly where needed without the wiring the ceiling. “The North floor-pendant is one of the first products to do that,” says Levy. Not only does it create light, but it also corresponds to the architecture and proportions of the space it inhabits. 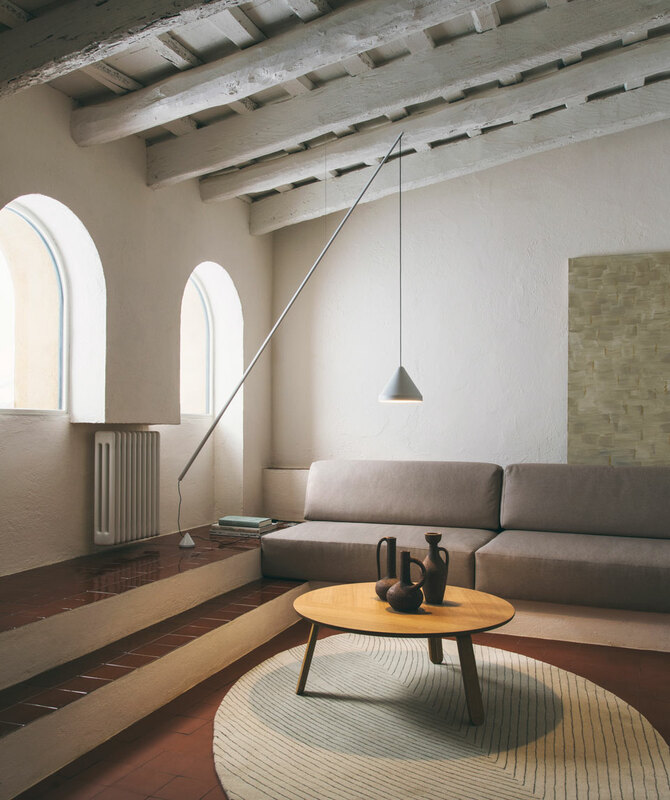 The fixture hangs from the ceiling by a nearly imperceptible steel cable, creating a silhouette that suggests a celestial form floating in space. 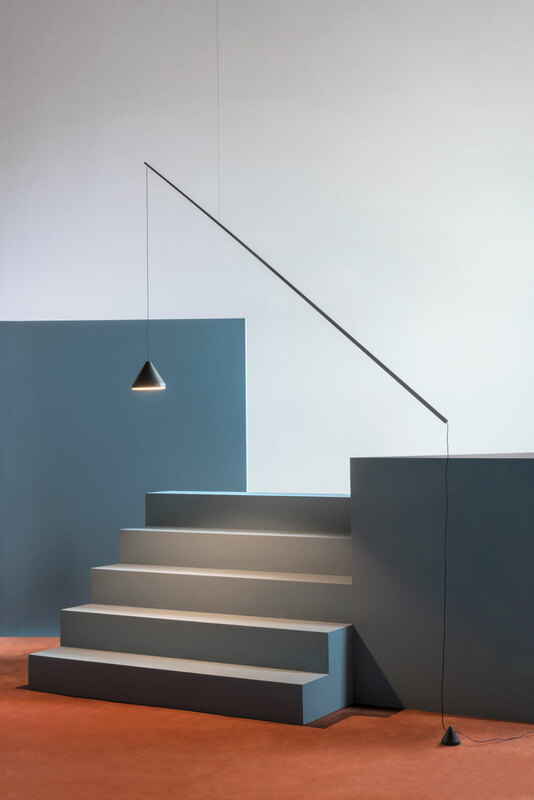 Composed of three disconnected pieces—a triangular aluminum shade that contains an LED-powered light source, a slender carbon fiber stem and a counterweight on the ground that connects to the electrical cable—the floor-pendant represents a dynamic system of adjustable parts. 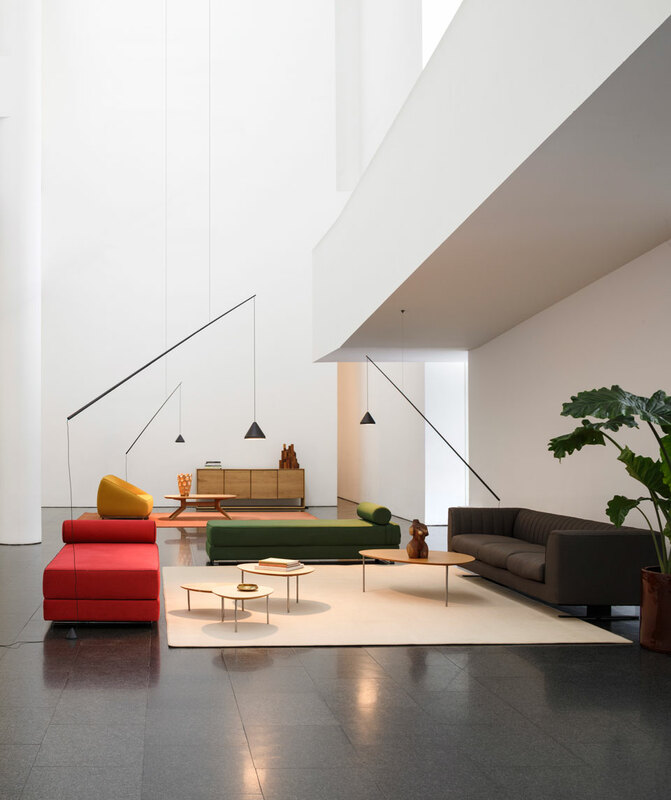 This idea of being simultaneously absent and present is one Levy has long explored in his work and the floor-pendant’s materials are an important part of his vision for the lamp. The carbon fiber rod enables a dislocation of the light source at a great distance from the power outlet. And the weighted base acts as a counterpoint to the lightness of the fixture.